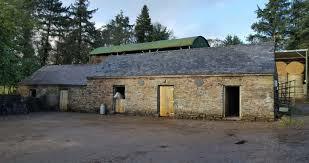 An annual grants scheme for the conservation and repair of traditional farm buildings and related structures for farmers in the Green Low-Carbon Agri-Environment Scheme (GLAS) 2019 scheme is now open for applications.The principal objective of this scheme is to ensure that traditional farm buildings and other related structures that contribute to the character of the landscape, and are of significant heritage value, are conserved for active agricultural use. Grant amounts vary between €4,000 and €25,000. A grant award will not be for more than 75% of the cost of the works with a maximum available grant of €25,000. We don’t know where your building is so please ensure the map your submit with your application will make it easy for us to locate your building from the nearest main road. ‘You will need to submit either a builder’s quotation with your application or if proposing to do repairs yourself a breakdown of costs on materials and labour with your application.